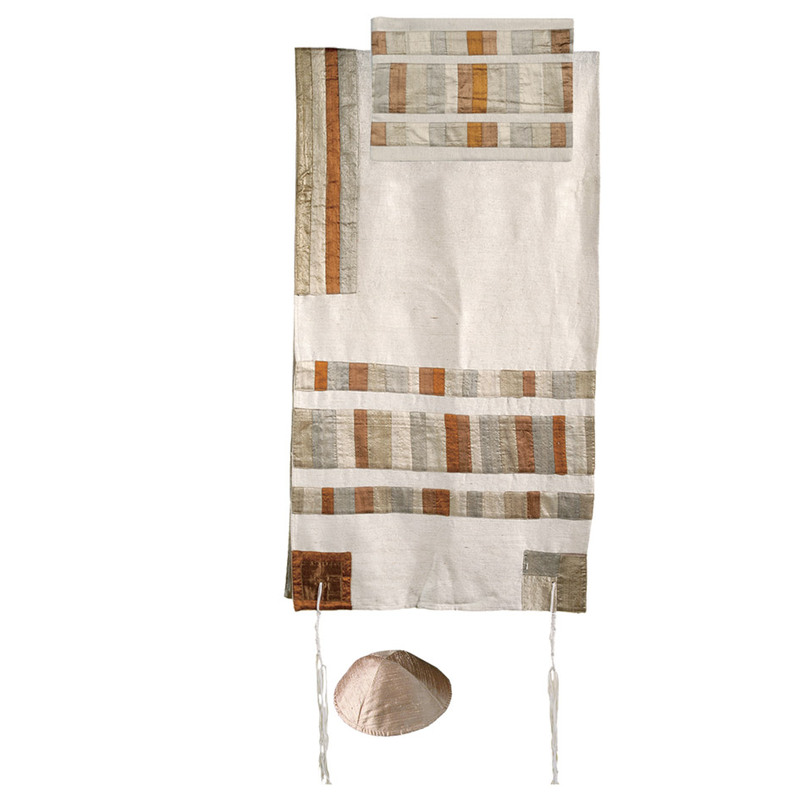 Gold Tallit Set CAT# TRA - 2, 55" X 77"
Product Title: Gold Tallit Set CAT# TRA - 2, 55" X 77"
Gold Raw Silk Applique'd Tallit Set CAT# TRA - 2. made from woven raw silk. The stripes, Atarah and corners are made of different applique'd raw silk. Size: 55" X 77". In many Sephardic communities, the groom traditionally wears a tallit under the chuppah (wedding canopy). In Ashkenazi communities, a more widespread custom is that the groom wears a kittel, although some Ashkenazim have in recent years started to wear a tallit according to the Sephardic custom. A tallit is sometimes spread out as a canopy at the wedding ceremony. This may be done either instead of or in addition to the regular chuppah.